It seems like every beach vacation ends with a big collection of seashells — at least when you have kids. And if your seashell collection is growing a little too large, it’s time to turn some of them into a cute piece of decor for your home or something fun to wear. Need some inspiration? 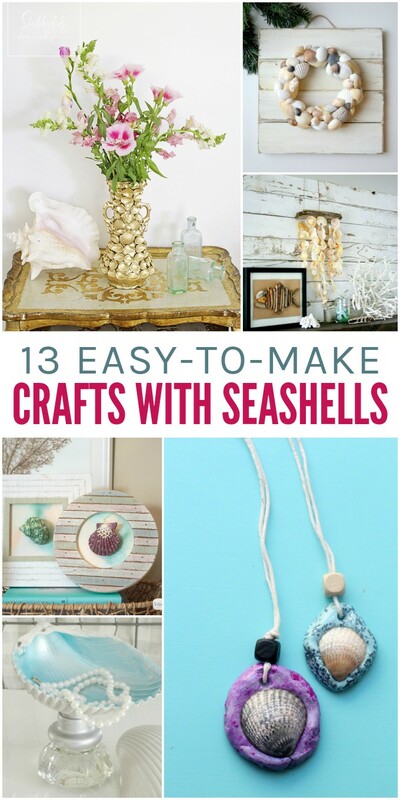 Here are 13 easy-to-make crafts with seashells any beach bum will love. 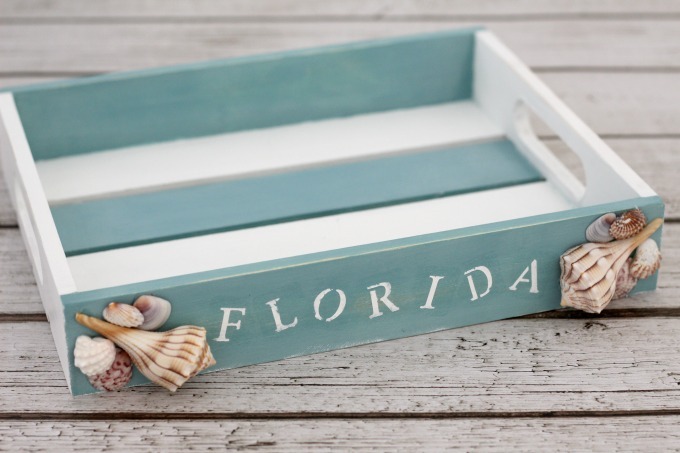 Make a coastal tray to remind you of your favorite beach vacation spot. I’m totally going to do this after our Florida vacation next month! 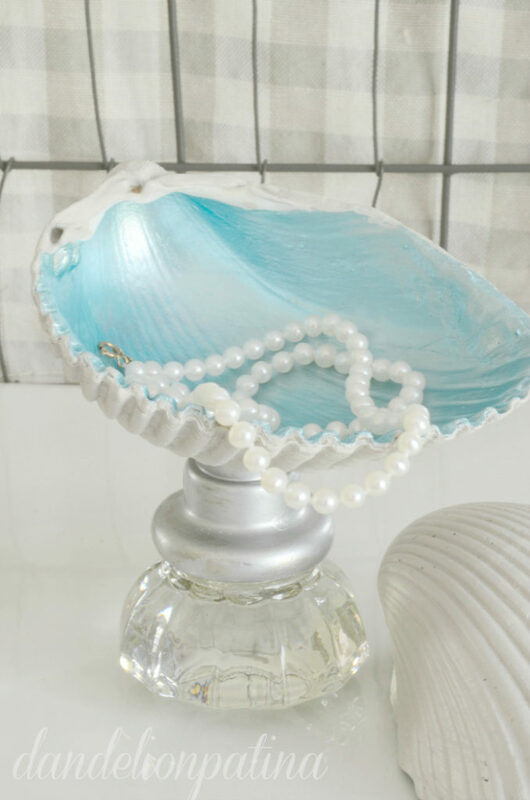 Use large shells and pretty knobs to make gorgeous jewelry bowls for your favorite trinkets. Seashell napkin rings are the perfect touch for a beach-themed party or wedding. Have a big seashell collection? 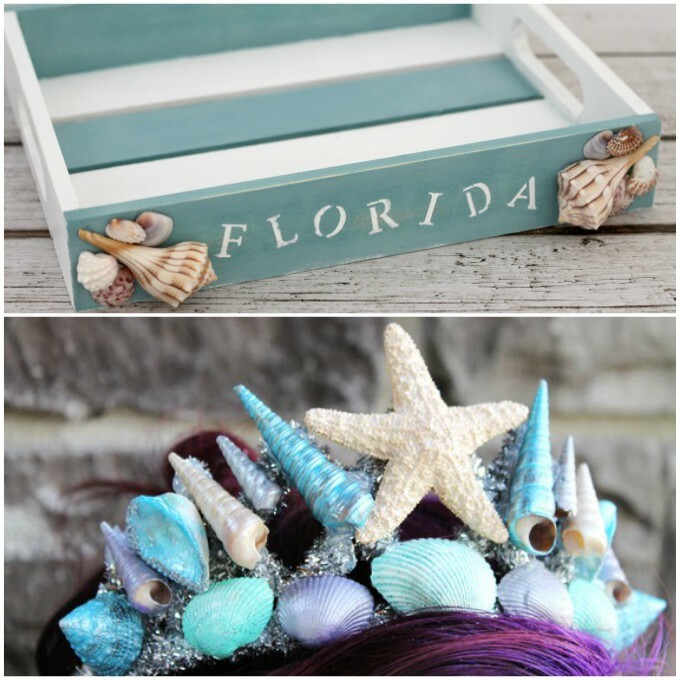 Glue a bunch of them to a frame, add mod podge and glitter, and you have yourself a sparkly glitter seashell picture frame that teens will love. 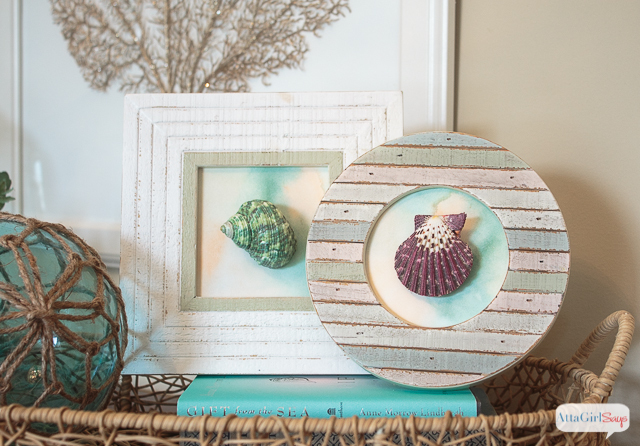 For a more subtle look, create this DIY seashell frame with seashells only in one corner. 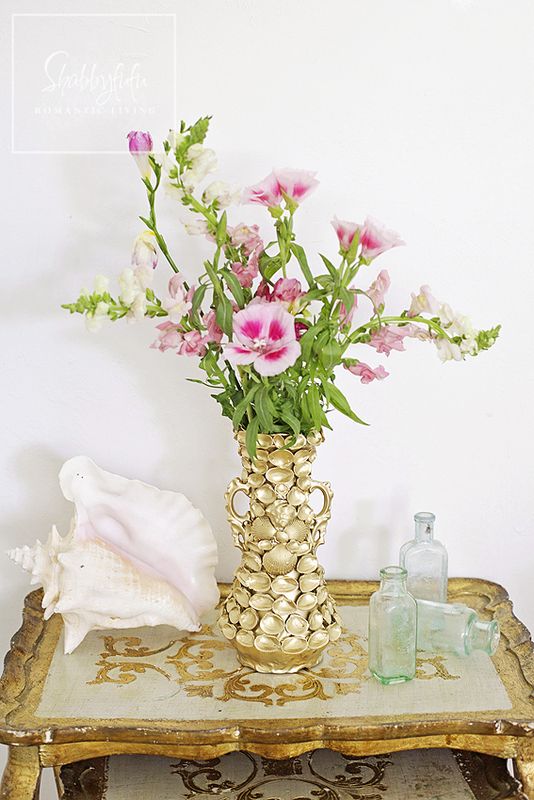 Glam it up with a DIY gold seashell vase to adorn a table or mantle in your home. 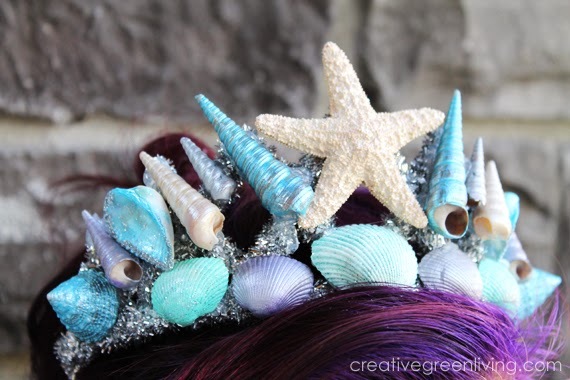 Your little girl will absolutely love this mermaid tiara! It’s made with a starfish, seashells, and silver pipe cleaners. Wouldn’t it be fun for the guest of honor at a mermaid-themed birthday party? 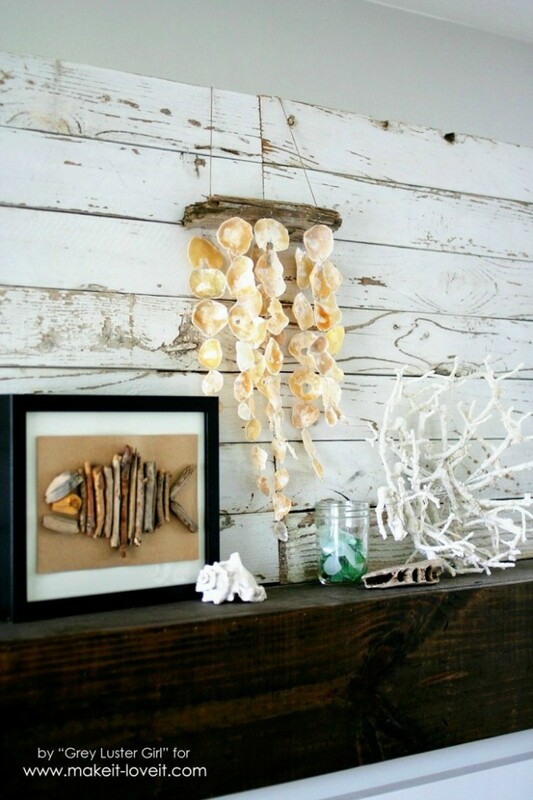 While this seashell mobile would look darling in a nursery, it’s beautiful in any room. Doesn’t it look amazing above the mantle here? 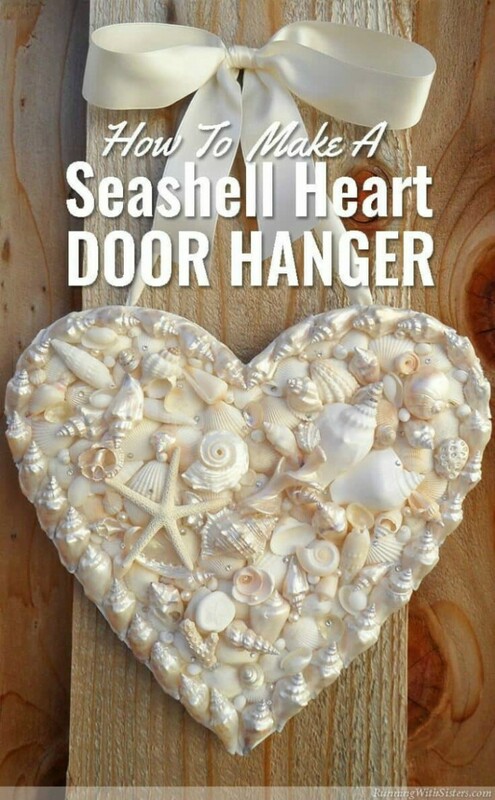 A seashell heart door hanger would make a sweet gift for someone’s beach house. 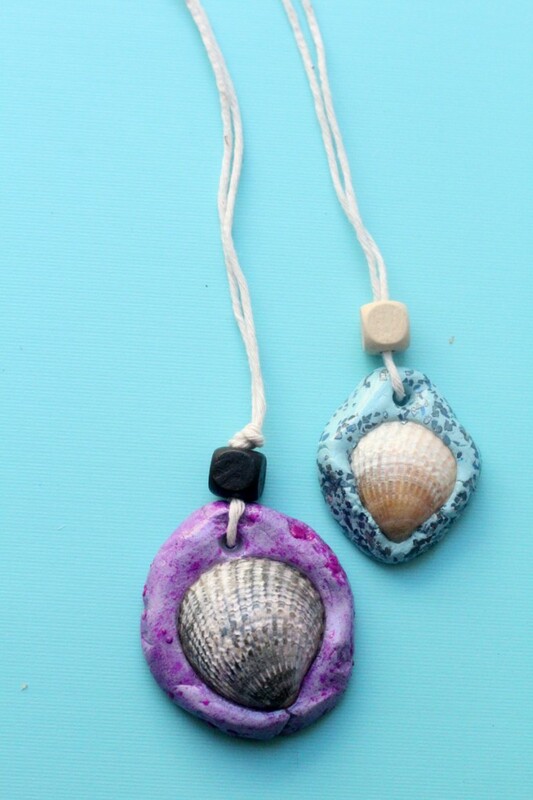 Sport a seashell necklace to carry your beach vacation with you all year long. 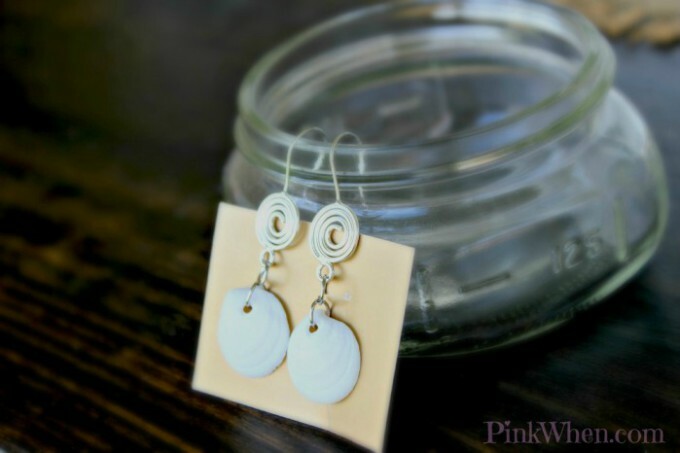 Revamp a pair of dangly earrings to make a pair of pretty seashell earrings. It’s easier than you think! A simple frame with a seashell in the middle will look great on a wall gallery or on a side table. 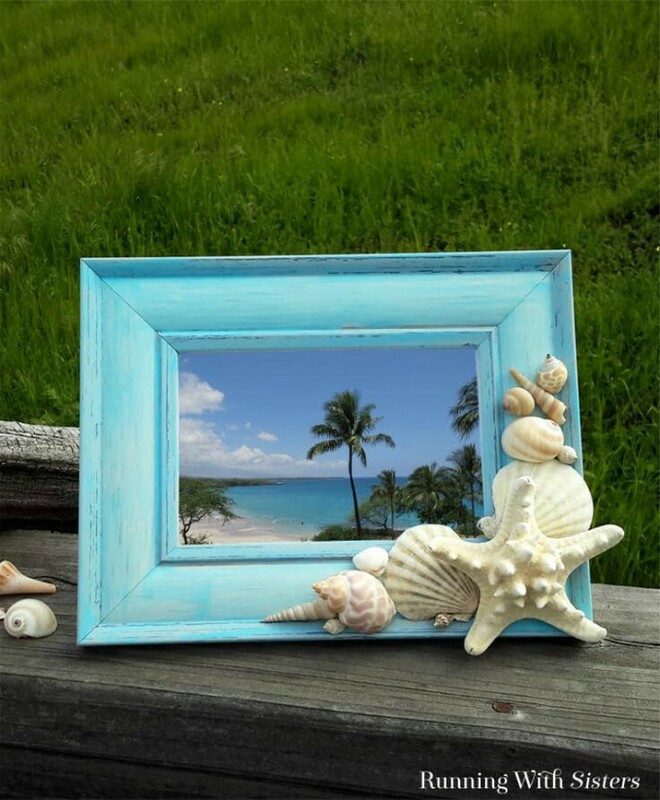 Make some seashell artwork with any frames you have around, but wooden ones look particularly nice. 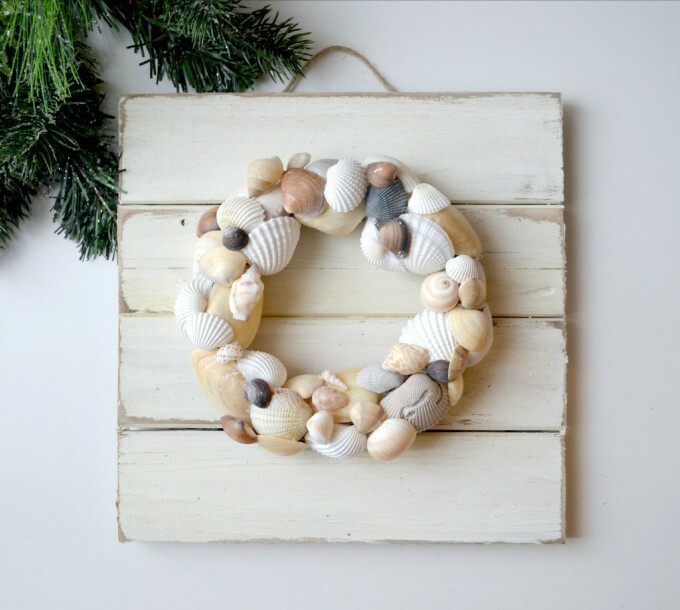 Add some coastal flair to your decor with a seashell wreath. You can make it as large or as small as you’d like!